Even if you don't know Michael Giacchino's face, you probably know his work. Giacchino, the composer for Rogue One , has built an illustrious career scoring some of the most popular films with his instantly recognizable music. In 2016 alone, Giacchino's credits appear on Rogue One, Doctor Strange, Star Trek: Beyond, and Zootopia. His credits span film, television, and video games. However, in the Star Wars universe, Giacchino's inclusion comes as a major switch-up from the franchise's go-to composer: John Williams. Williams, deeply iconic in the world of film scoring, has served as the composer for every Star Wars film, from 1977's Star Wars Episode IV: A New Hope to 2015's Star Wars: The Force Awakens. The hiring of Giacchino was not done to slight Williams; on the contrary, Giacchino has previously expressed his deep admiration of Williams' work on the Star Wars films as a composer and Star Wars fan himself. Williams chose to sit out the Rogue One gig due to a high volume of work which, as an 84-year-old man, prevented him for even considering a new project. It makes total sense. Giacchino's boarding of Rogue One actually turned out to be incredibly fortunate, not only because he is a Star Wars fan, but because his musical talents actually follow in the footsteps of Williams. This makes Giacchino an appropriate torchbearer to the Star Wars musical legacy. The Rogue One soundtrack, now streaming on Spotify, reflects the best of Giacchino's style. Like Williams, he is able to bring a very big sound to a very contained space (in this case, a movie). Giacchino's style is characterized by the use of mainly booming percussion and a powerful brass section, with strong touches of strings throughout. What results, and makes Giacchino's music just as recognizable as Williams', is the sweeping, rousing, and thoroughly adventurous feelings that swell within those who are listening. Even better, Williams does get a credit on Rogue One because his iconic melodies are interwoven into Giacchino's score. See? You get the best of both worlds. 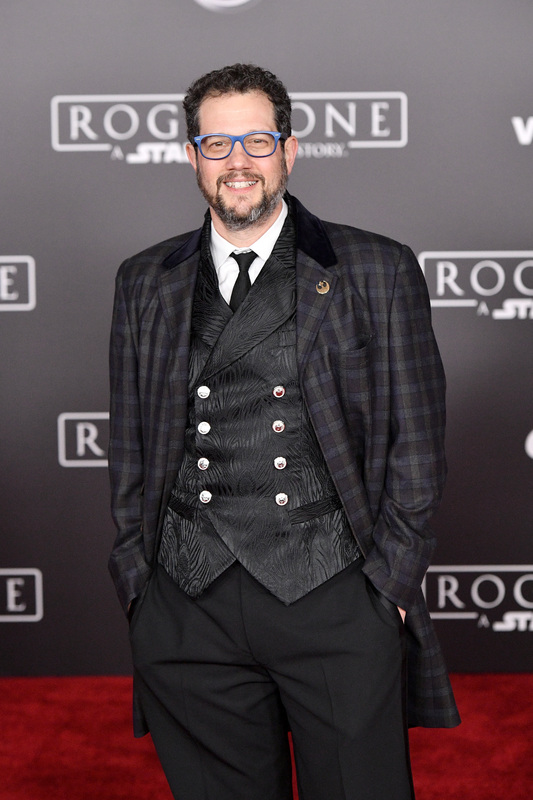 It may also not be a total surprise that Giacchino, a worthy Williams' successor, was brought onto the Rogue One team. A longtime composer for and friend of The Force Awakens director J.J. Abrams as well as Disney and Pixar, Giacchino's secondary ties to the Star Wars franchise made his the ostensibly natural recommendation when composer Alexandre Desplat had to drop out due to scheduling conflicts. If you're curious to know what makes Giacchino such an iconic composer, just listen to the track "Rogue One" from the Rogue One soundtrack. All the elements are there, from Giacchino's recognizably big sounds to Williams' beloved original melodies. Just be careful: You may end up becoming a total fan of Giacchino's during your Rogue One listening.